Pool Views from 2nd floor Balcony! 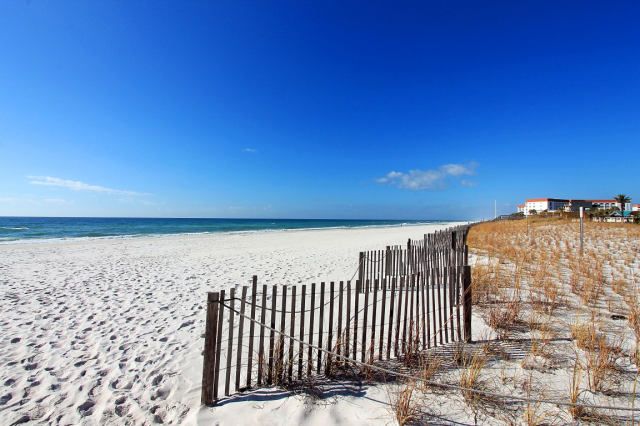 Beach access is only 50 ft away! Sea Dragon Pirate Cruise, docked only 2.5 miles away! 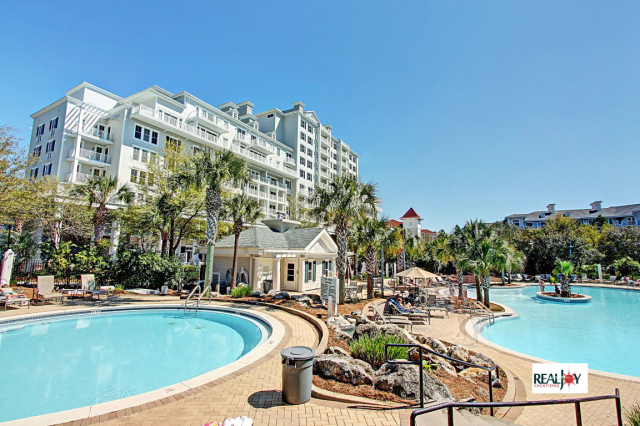 Nautical Watch D-6 is a family friendly, low rise condo with over 500 feet of private beach just steps away! 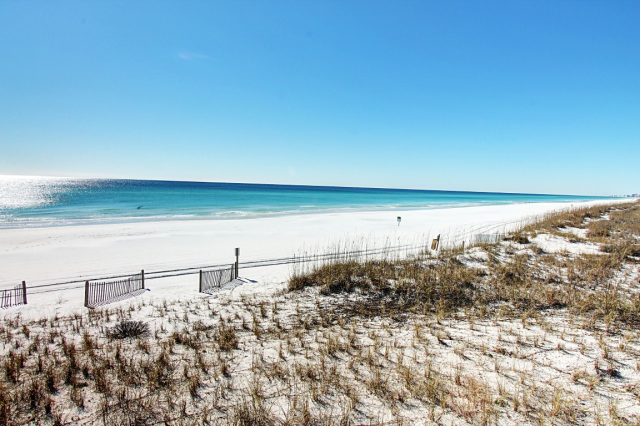 Located on the east side of Panama City Beach, this cozy, one bedroom unit can sleep up to 4 guests comfortably and features bamboo flooring and tile, a full bath and fully equipped kitchen with granite counter tops. Step into this 2nd floor unit that boasts spectacular views of the pool and is only 50 feet away from the clear emerald green water of the Gulf of Mexico! Check out why Nautical Watch D-6 is a family favorite! 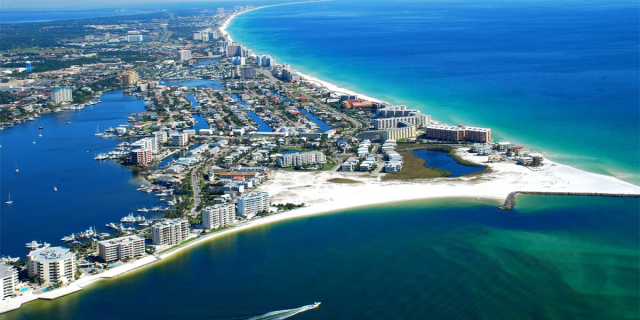 Nautical Watch is a family friendly, low rise gulf front condominium on the east side of Panama City Beach. This beachfront complex is formed in a U-shape around a large pool for the family to enjoy. 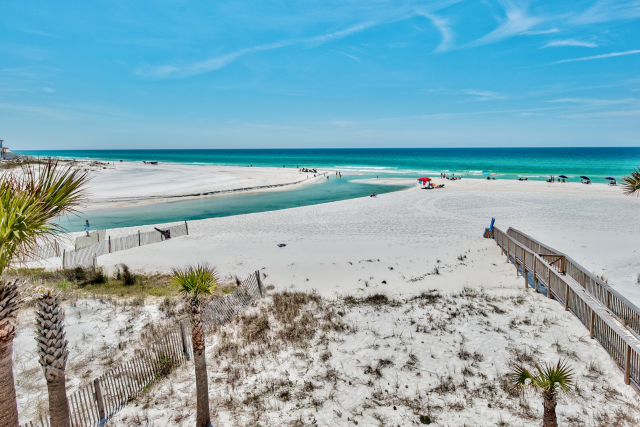 Nautical Watch has its own private beach for you to enjoy the amazing white sandy beach and the clear emerald green water of the Gulf of Mexico! 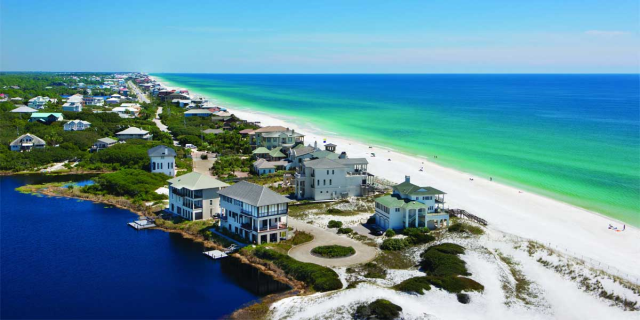 The beach is wide and deep and reminds one of "old Florida". Less than a mile away is gorgeous St. Andrews State Park. Grand Lagoon touches the park to the north and to the south, the beautiful Gulf. Swimming and fishing are great at the park without the large crowds! Nearby, at the corner of Thomas Dr and North Lagoon Dr is Captain Anderson's Marina & Restaurant. You will find delicious fresh seafood, charter fishing boats, shell and dolphin excursions. Major grocery stores and retailers are also within a 5-10 minute drive. 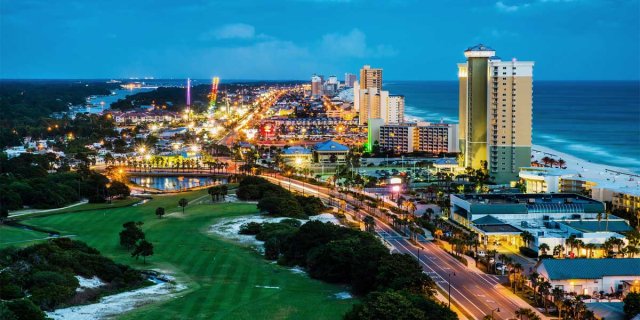 From exploring the sunken ships in the area, to sailing, go-karting, deep sea fishing to checking out the local animal parks, there are a diverse variety of Panama City Beach attractions for kids of all ages, to enjoy, just minutes from Mariner West! 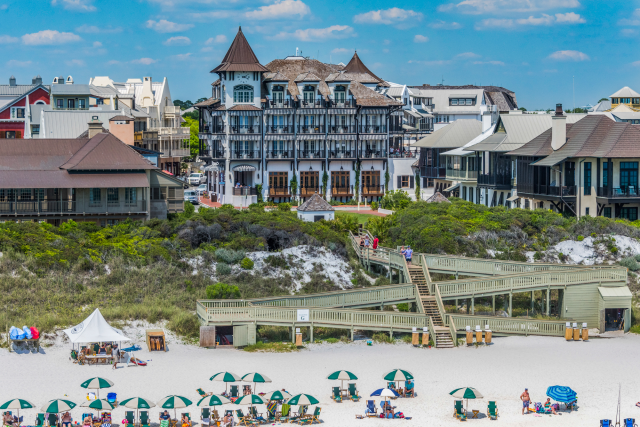 There's never a dull moment on the beaches near these condos and you won't find a better place to stay.